There is a jolly old elf you will want to schedule to come and visit your family and friends at your holiday get together this season – Santa David Doerrier. Bringing the magic and heartfelf warmth back to Christmas, this Mr. Kringle is ready for nearly any event you might be having. 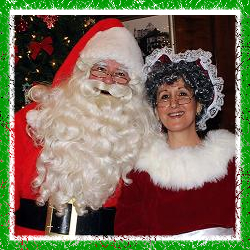 Book Saint Nick for a breakfast with Santa, home visits, work party, corporate events, neighborhood and block parties, holiday get togethers, craft fairs, school and church events, portraits, shopping malls, retail promotions, pet pictures, movies and television/casting, and more!